MICHALAK. IT REALLY IS FANTASTIK! 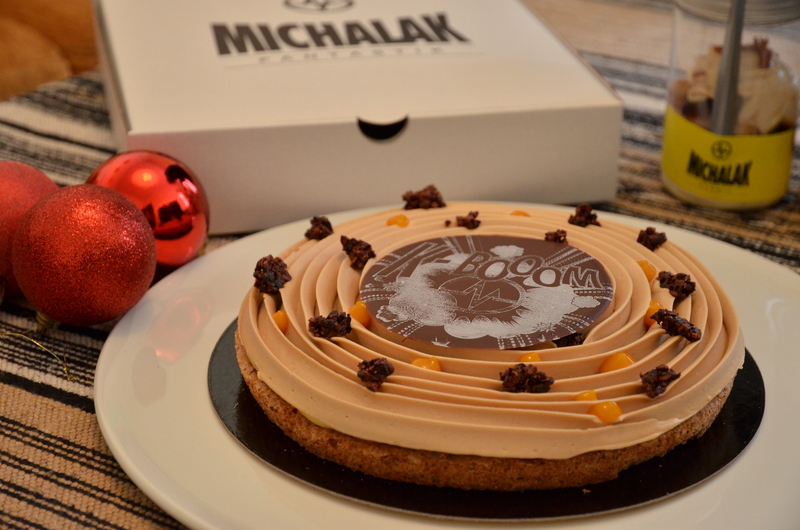 FANTASTIK ATTACK “BOOM” (photo above) – hazelnut dacquoise, mango, passionfruit and milky caramel. A special edition created for the Christmas season 2013. We know him as the celebrity Chef Pâtissier of the 5 star hotel Plaza Athénée in Paris. Christophe Michalak, winner of the World Pastry Championships 2005 has however taken on a new gig, doing a Lady Gaga if you will by reinventing his image. His new logo MICHALAK says it all: loud, edgy, bold, rockn roll and fun. His style of packaging also dares to be different choosing a pizza box for the FANTASTIK cake take-aways. Does this sound very French to you? All those years of hard work and dedication to prestigious 5 star establishments learning the discipline of haute couture patisserie and then to finally create a concept of patisserie that is more … if I dare say…. Playful, crazy? Patisserie in France today is changing fast, it’s all about reinvention, coming up with new flavors, new looks and playing up to a more international audience. I’m actually totally Gaga over this new MICHALAK concept and also a little jealous, I wish I’d come up with the idea but there’s still a lot for me to learn and I’m particularly curious on how Michalak and his team constantly reinvent the combination of saveurs and textures for the FANTASTIK range. I also want in on some creative cake design, it looks fun. So I’m signing myself up to the Michalak Masterclasses tout de suite. Notepad, pen and spoon ready! Michalak Masterclass FACEBOOK posts the FANTASTIK collection of entremets and tarts regularly, plus if you want to know “les petites astuces” (tips and secrets) of the Michalak patisseries there’s the Michalak Masterclasses in Paris. 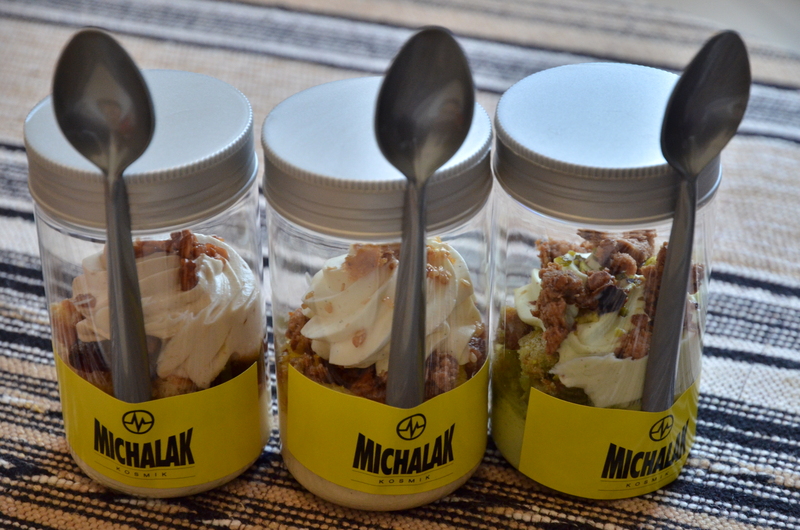 MICHALAK TAKEAWAY, 60 rue du Faubourg Poissonniere, 75010 Paris. For those non-French speakers who want to take a class I recommend that you contact the MICHALALK team first. I do know that there are members of the team who speak English but that doesn’t mean to say they’ll hold the class in English. Good luck!